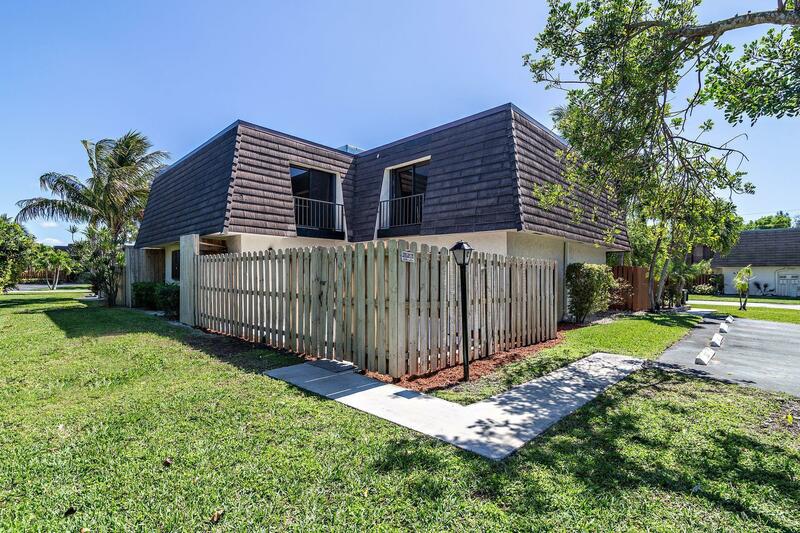 Move in today to this gorgeous townhome located in Jupiter! This two bedroom two and a half bath property has a private fenced courtyard, brand new A/c, new roof and the list goes on from there. The kitchen has quartz countertops, 36' designer soft close cabinets, brand new stainless Samsung appliances. Engineered flooring throughout and the staircase, new light fixtures and ceiling fans. Custom bath vanities and tile work in all three bathrooms! Located only minutes to local beaches, dining and much more, Jupiter Lakes is a lushly landscaped neighborhood with lots of charm.